So I have a problem. I have Sim Settlements and all my settlers are building and making houses like they do in that mod, but I also spawned in three more settlers with the Spawn Settler button, and those settlers won't build houses for themselves. Is this mod not compatible with Sim Settlements? Each city plan is designed for a specific maximum number of settlers (actually plots), and will automatically stop recruiting once that number is reached. To go over that number, you will need to do additional building yourself. The button isn't showing up at all for me in the settlement menu. It says it should be under Special but nothing is there? I have precisely the same issue. I put both files into Data (esp and Main.Ba2) but it is not appearing in the Special section. In fact I don't even have a "special" section. I just have a section that says 'Sim Settlements' that gives me a variety of build options. Within the game when I press Esc and click on Mods it appears, but it is un-ticked and will not allow me to tick it, and at the start menu before entering into the game, when I click on Mods, this mod is not included. I cannot work out what the heck I am doing wrong. Any help would be much appreciated. I don't have a lot of hair and am losing what I do have by the minute! I think I have run into one of the weirdest bugs with this mod.. The only think I can like... think is I have the UniqueNPC Creatures mod... but... is weird. If you try to activate the .esl version of the mod in NMM, and it still doesn't show up in the load order, you can go into the game itself, open the MODS menu, and activate the .esl there in that list. I can't seem to find any comments on my issue. 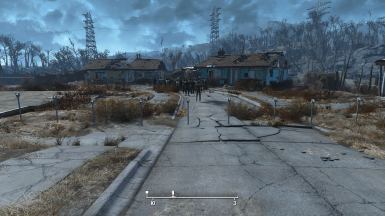 Everything works fine but my settlers that spawn are leaning forward as they walk or stand. It appears as if they're walking up a hill. 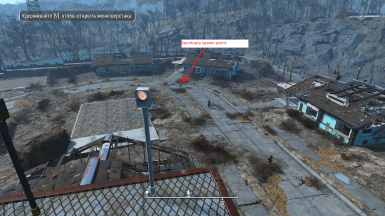 i tried spawning settlers in one of the concord buildings from the mod Concord Restoration Project mixed with Fallout 76 C.A.M.P mod, the button keeps showing red light and i can't seem to spawn them, tried spawning with console commands and i can`t seem to asign my settlers to stores i built inside the interiors the mod gives, how can i fix this to allow me to spawn the settlers via the button and asign them stores? "Red button - Parameter "workshopID" not obtained after 2 minutes. Something went wrong. May be scripting system overloaded, may be "new" settlement not properly registered in workshop scripting system"
Do you think you'll ever add in a spawn raider button for nuka-world raiders? Would be really nice. stopped working also button always red ? Hey this is a great mod but I think I have run into a problem. At Vault 88, I spawned like between 10 to 15 settlers and everything was normal for awhile but I came back there recently after doing a quest and all those settlers are just gone. It still says I have the amount of settlers I had before, but I can't find around 10 to 15 of them, and I even used tfc and checked every nook and cranny but I did not find them. Any idea what I should do? I've often noticed settlers "missing" only to find out they're trapped on the roof of the vault structure in the main cavern, wondering how to get back inside. That was an issue even before I installed this mod, so I suspect it's not related… just another annoying bug in the vanilla game.